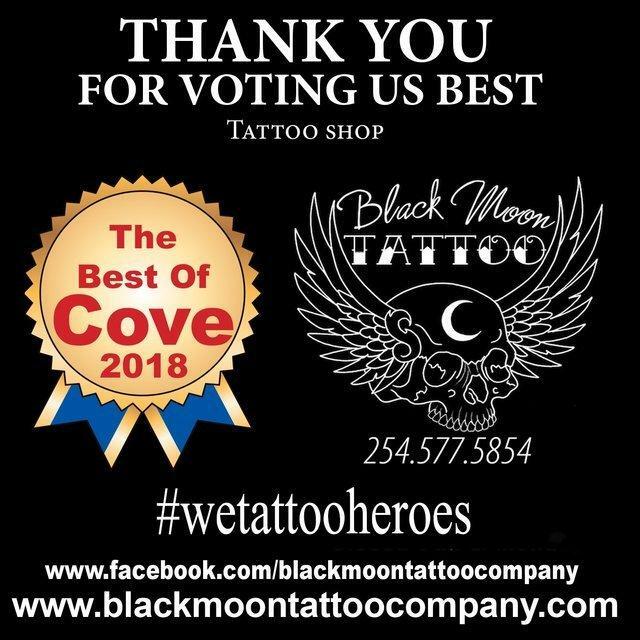 Black Moon Tattoo is your local tattoo shop in Copperas Cove, Texas and serving Killeen, Texas. We offer Professional Piercing Services for our clients who are 18 and up, or minors who have parental consent. If you are looking for Body piercings, you can trust us to provide amazing services for you. Our shop is clean, sterile, and state licensed to provide exceptional service every time. All of our Ear Piercing Specialists are fully trained to ensure that they meet all safety regulations and requirements. Body piercings are a great way to express your individuality and unique sense of style. We have experience performing piercings of all types including tummy piercings, nose piercings, ear piercings, and more. Our artists use only sterile equipment for piercing and our shop is state licensed. Our tattoo shop is conveniently located at 2522 B E. Business Highway 190 Copperas Cove, Texas 76522. 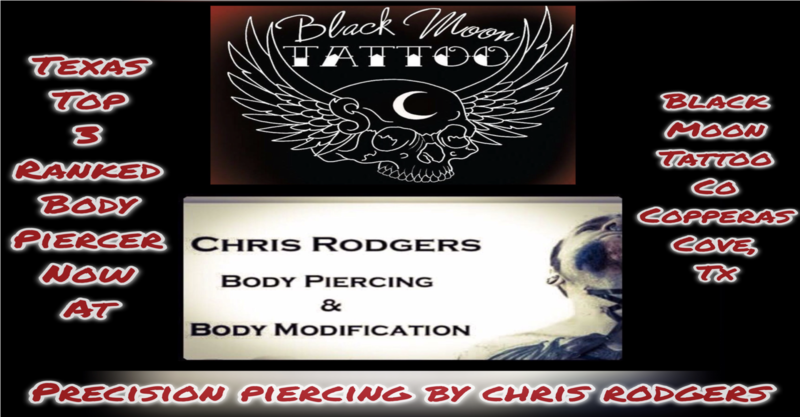 Contact Black Moon Tattoo for more information about our Piercing Services by calling us at (254) 577-5854. Call us at 254-577-5854 to get your FREE estimate today. Black Moon Tattoo Company© 2019 The content on this website is owned by us and our licensors. Do not copy any content (including images) without our consent.